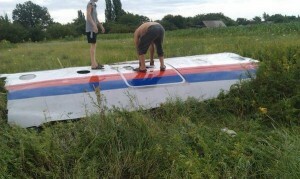 Who Shot Down the Malaysian Jet Over Ukraine? On July 17, 2014 the madness of three-month-long Ukrainian military conflict in the East has brought the first shocking international consequence. 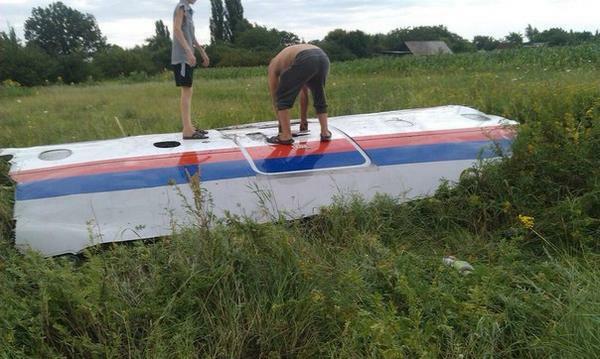 At 3.20PM GMT the Malaysian Airlines Boeing 777-200 jet flight #MH-17 en route from Amsterdam to Kuala-Lumpur disappeared inside the Ukrainian airspace right above the area of intense military combat in Donetsk region and crushed near Grabovo village, around 60 km to the east from Donetsk. All 285 passengers and 15 crew members have reportedly died. According to data available the airliner “was moving at the altitude of 10,600 meters on the 350th flight level”. This flight level was opened for international transit flights, despite since July 8, 2014 the Ukrainian aviation authorities “did not recommend” international transit flights in the area below 302th level i.e. 9600 meters due to the “anti-terrorist operation” unleashed in the area involving Ukrainian pursuit aviation and air-defense capabilities in action. So formally the Malaysian company complied with the ruling of Ukrainian civil aviation authority although the security risk for the flight was evident. The Russian military expert Igor Korotchenko argues that the catastrophe in Donetsk was most likely caused by the incompetence and non-professionalism of the Ukrainian operators of the Buk systems during its testing after the battery was deployed in the new location. He said that the Ukrainian antiaircraft unit did not have any kind of proper training for the last 23 years since the collapse of Soviet Union. 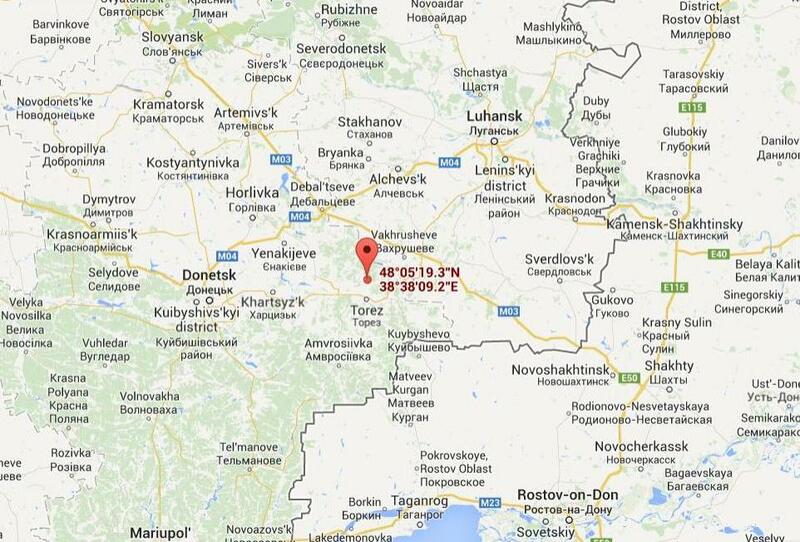 What happened today is hardly the first case of “errant shooting” of the Ukrainian military on civilian air targets. On October 4, 2001 the Russian Siberia Airline flight #1812 Tel-Aviv-Novosibirsk carrying 66 passengers and 12 crew members was erroneously hit by a Ukrainian missile over the Black Sea during military exercises, which was eventually admitted by the Ukrainian side. No one on board survived. 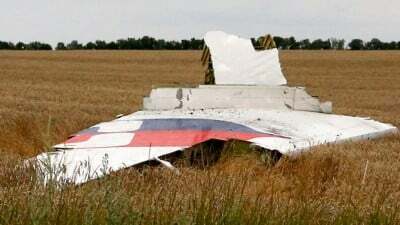 So regardless the MH-17 incident was caused by the criminal negligence and incompetence of the Ukrainian military or deliberate (and reckless) Kiev’s provocation to put blame on Russia, the strong international commitment to make Kiev immediately halt its punitive actions in Novorossia until all the circumstances of the tragedy are thoroughly investigated is urgently needed. Location map of the point (marked in red) of the air strike against Flight MH-17 according to the flight tracking data.